When you’re trying to shop for coffee, it can often be difficult to find beans that are both high-quality and freshly roasted, especially when looking online. Bean Box has endeavored to remedy this coffee-lovers’ plight; and we must say, they’ve done a pretty impressive job. 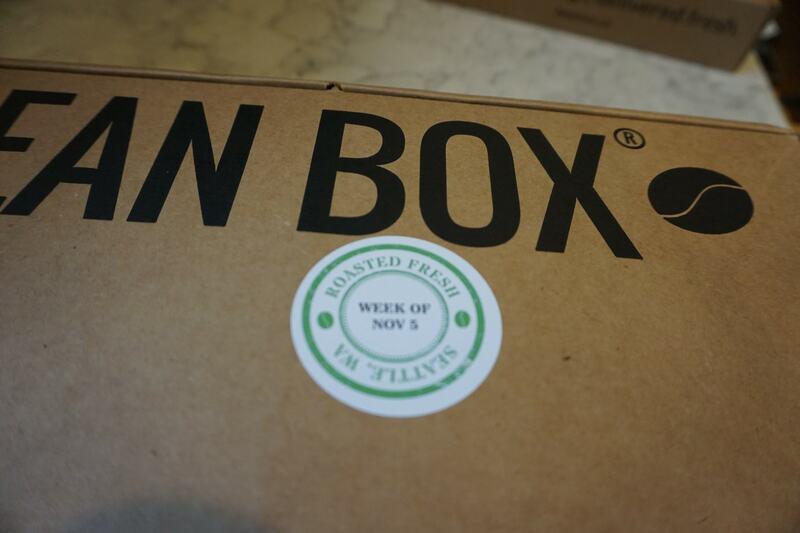 This is one subscription box you won’t want to miss. Read on for information on the company and some unboxings of a few of their top products. 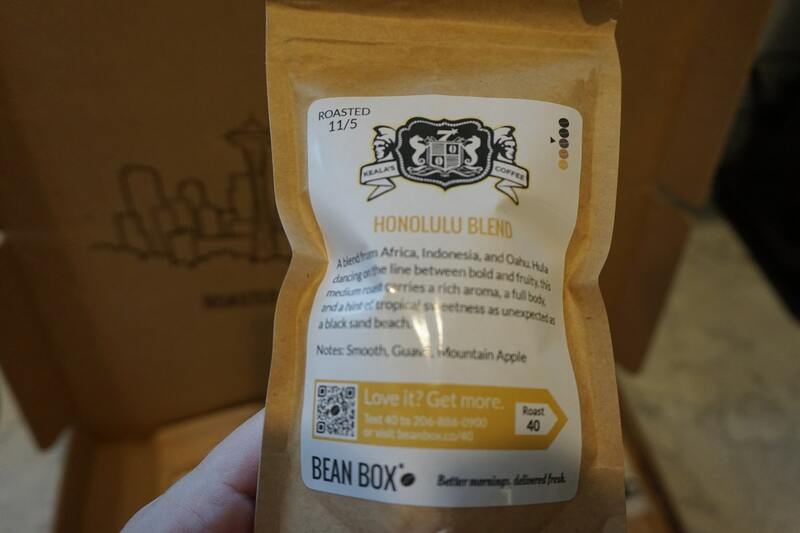 Founded my Matthew Berk and Ryan Fritzky, Bean Box is a Seattle-based coffee subscription/gift company. The two software engineers were inspired by their own love of coffee and the close relationship between their original industry and their newly hatched idea for an online business model. Because all of their coffee is sourced from top-rated, local Seattle roasters, they have a reliable freshness guarantee. All 27 of their roasting partners are dedicated to small batch roasting. So not only will your coffee be fresh, but you’ll also enjoy an impressively flavorful cup. Their partners include names like Anchorhead Coffee Co., Kuma Coffee, and Broadcast Coffee Roasters, just to name a few. 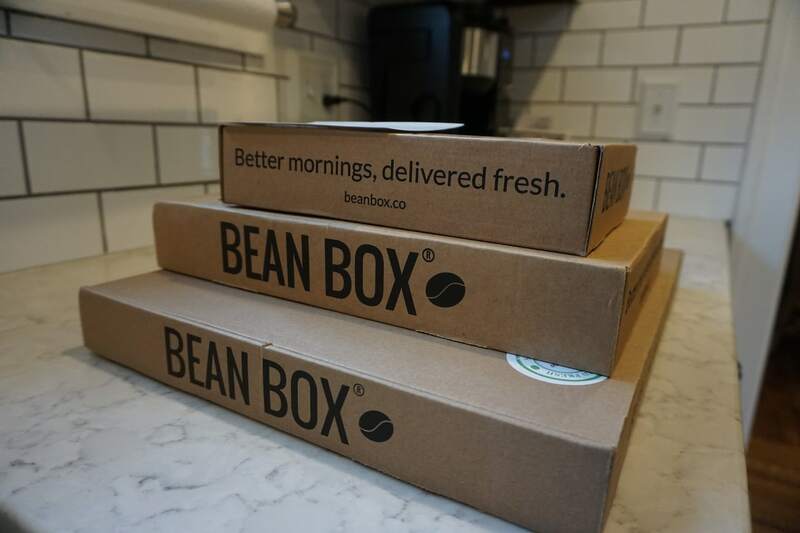 Once you land on bean box’s website, you’re presented with two options: join or gift. If you choose to join the bean box coffee subscription, you have three simple selections to make. The first is the subscription type, which allows you to choose between a Bean Box Sampler option with 4 1.8 oz bags of whole bean coffee and a 12 oz whole bean Coffee of the Month. 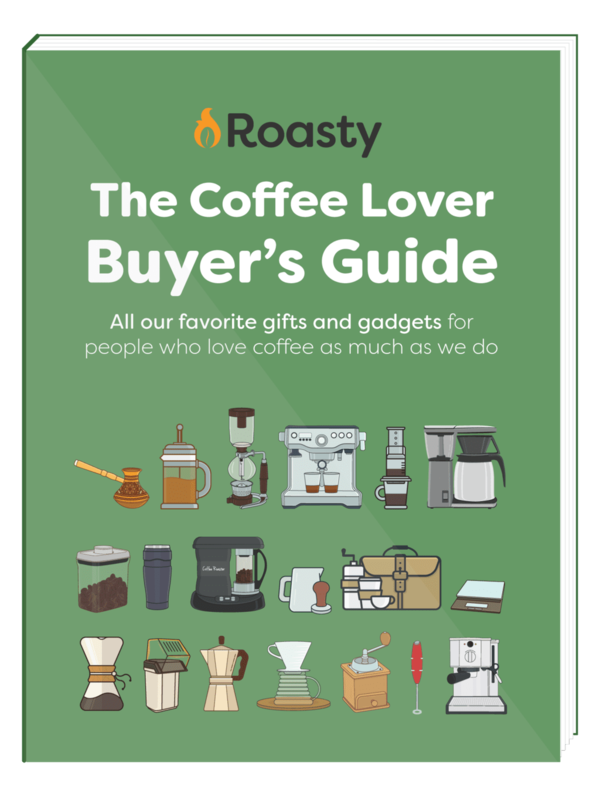 Once you’ve chosen the subscription type, you select your roast preferences. The standard options are light, medium, dark, espresso, decaf, and all roasts. The Coffee of the Month also gives you a light+dark and a medium+dark option. Payment plans for the Sampler are a 6 month prepay or monthly payments. The Coffee of the Month has those as well as a 12 month prepay. 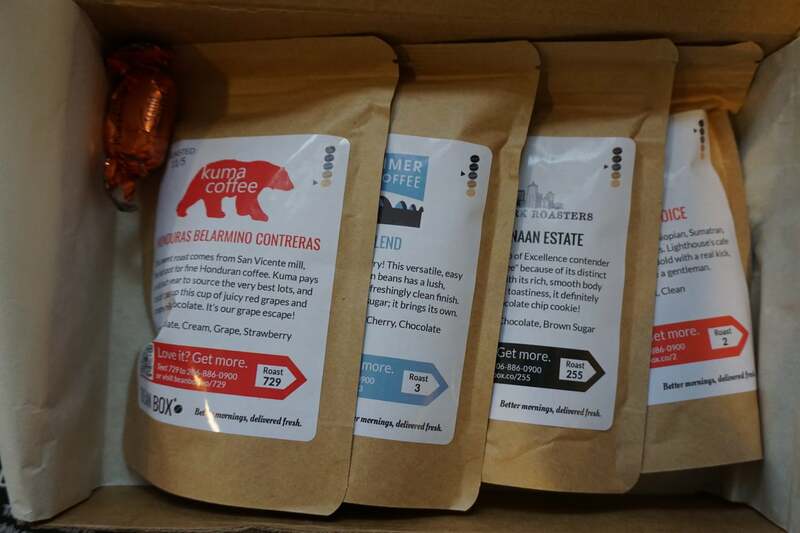 If you choose to gift the box, you’re presented with an array of coffee options. 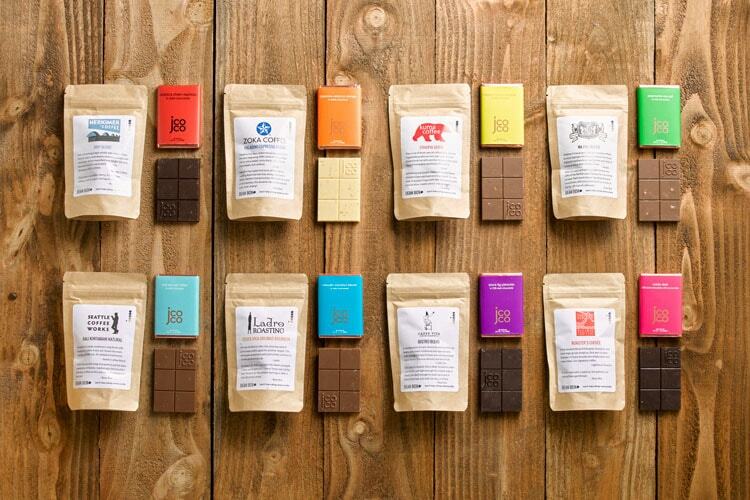 The regular Sampler and the Coffee of the month appear among these, but there are also options like the Coffee+ Chocolate Tasting, Top Shelf Collection, World Coffee Tour, and Holiday Coffee Sampler. Several options also comes with larger, deluxe counterparts. There are also a plethora of Sampler variants that differ in the included roast type. Once you pick your gift, you select how many months you want it to be delivered and pay an upfront fee. 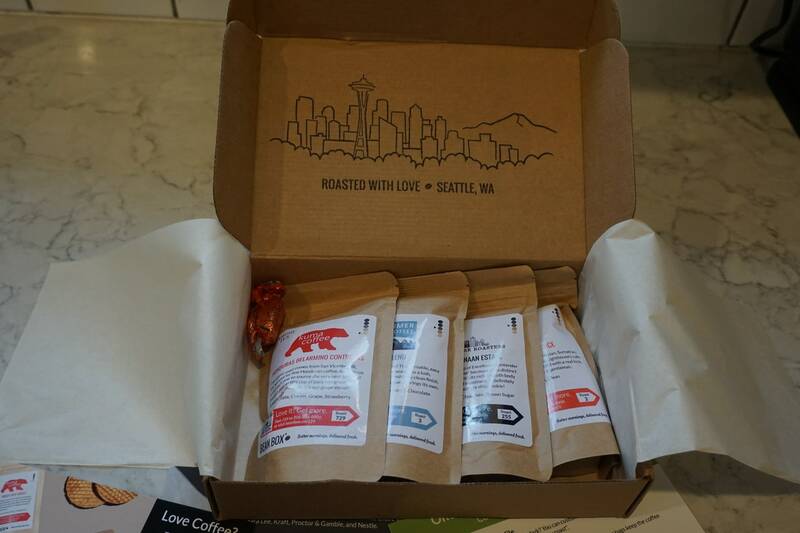 Thanks to the generous folks at Bean Box, we had the pleasure of trying out the Deluxe Coffee +Chocolate Tasting Box, World Coffee Tour Box, and a Bean Box Sampler. So you can see the whole experience unfold right here on Roasty. One of the first things we noticed was that all of the boxes had a roast date right on top. This was especially refreshing as it is often difficult to find a precise roast date on store bought or even other online coffee options. 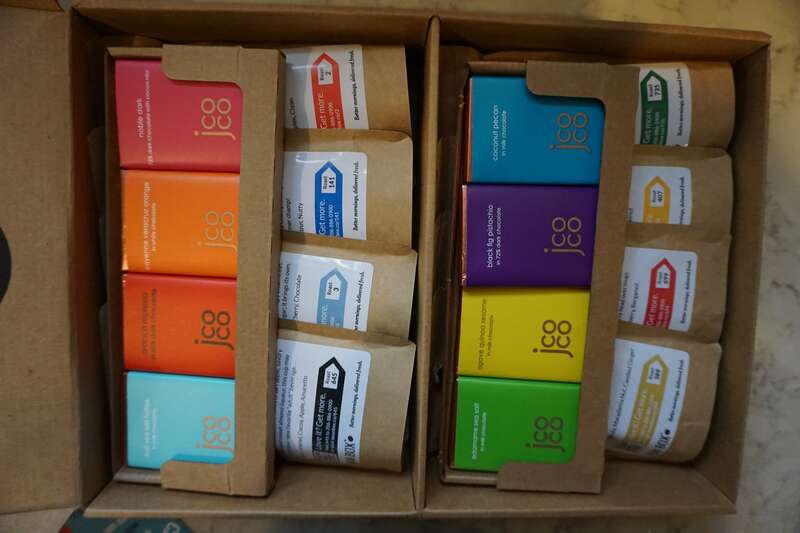 In this box, we received 8 different chocolates and 8 different beans that were expertly paired together. The website boasts a beautiful presentation, and we were not disappointed. With sleek packaging and bright colors, this double layered box was exciting to receive and open, making it an excellent gift. In addition to the chocolate-coffee pairs, the box includes tasting notes, so you can make the most of the luxurious experience. Each of the 8 bags contains 1.8 ounces of whole bean coffee (though it also comes in a pre-ground option). A few of the pairs in the box include the Zoka Coffee’s nutty and citrus-y Paladino Espresso Blend with a Cayenne Veracruz Orange white chocolate bar, Caffe Vita’s Papua New Guinea Yus featuring guava and honey with an agave quinoa sesame bar, and Ladro Coffee Roaster’s fruity Queen Anne Blend a black fig pistachio bar. In addition to a thorough description of the blend in each bag, they include a roast batch number and an exact roast date, so you know every bag is fresh. Plus, if you particularly like one blend, there’s a QR code that links you back to the website where you can get more of your favorites. 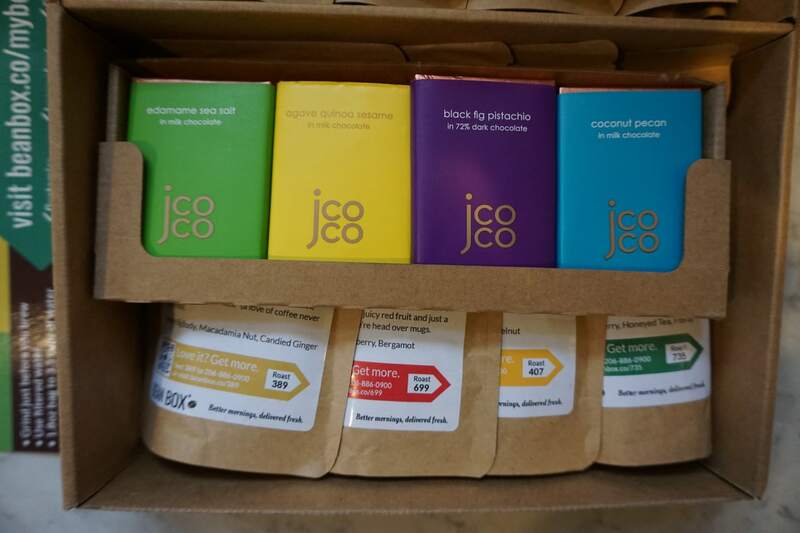 Click here to check out the coffee + chocolate box. 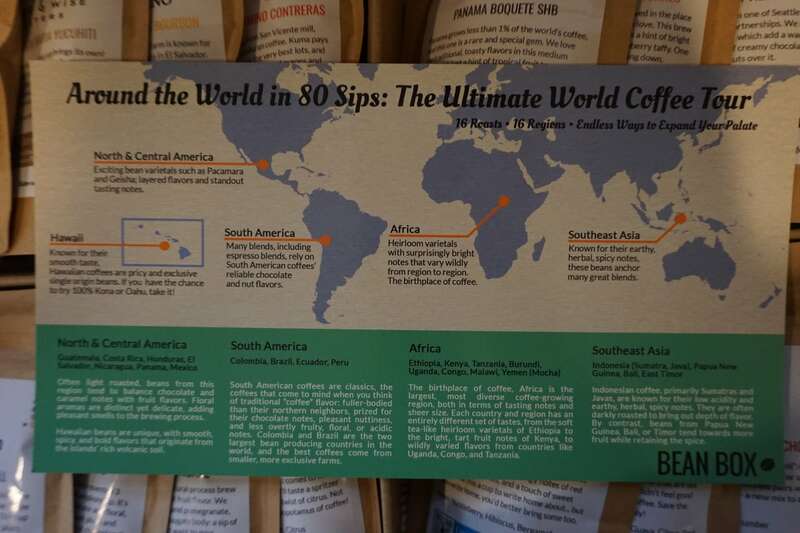 Next, we have the incredible Coffees of the World Sampler. With a whopping 16 1.8oz bags of coffee, you get 1.8 lbs of whole bean coffee to explore. The box comes with a nifty, well-designed info sheet that tells you the defining features of each of the 16 regions your mouth will be visiting. It also has tasting notes and brewing tips. The primary regional breakdown is North & Central America (Guatemala, Costa Rica, Honduras, El Salvador, Nicaragua, Panama, and Mexico), South America (Columbia, Brazil, Ecuador, and Peru), Africa (Ethiopia, Kenya, Tazmania, Burundi, Uganda, Congo, Malawi, and Yemen), and Southeast Asia (Indonesia, Papua New Guinea, Bali, and East Timor). 16 beans are selected from these subregions and roasted in and around Seattle. Like the bags in the first box, these include a description of your roast, the roast date, and the roast type (dark, medium, light, etc.). Plus, you still have the handy QR code in case you simply must have more of a certain bean. 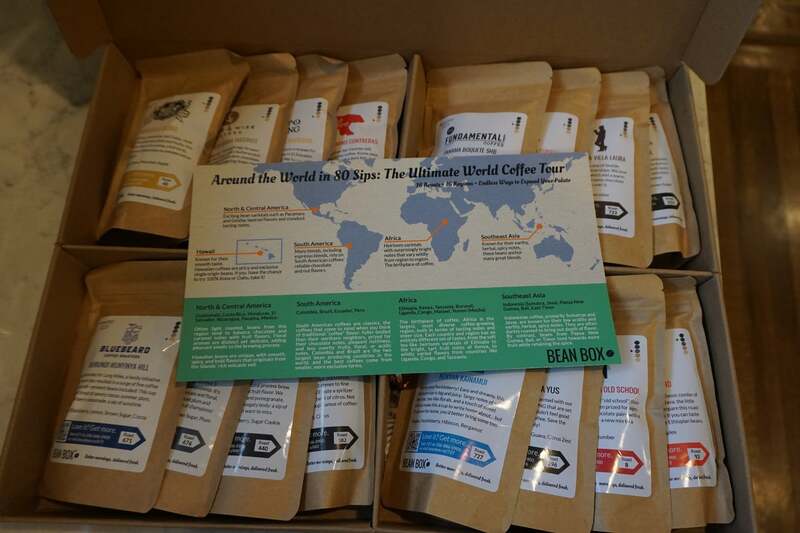 Lastly, we have the basic bean box sampler to show you. Available as a monthly subscription option, these boxes include about a half pound of expert selected roasts. Again, the presentation is sleek and simple, allowing the coffees to take center stage. Each of the four 1.8 oz bags gets tasting notes and brewing tips on the included info sheet. If you’re sending this box as a gift, you can even include a personal note! Plus, ours came with a couple of sweet little extras (pictured in the top left above). 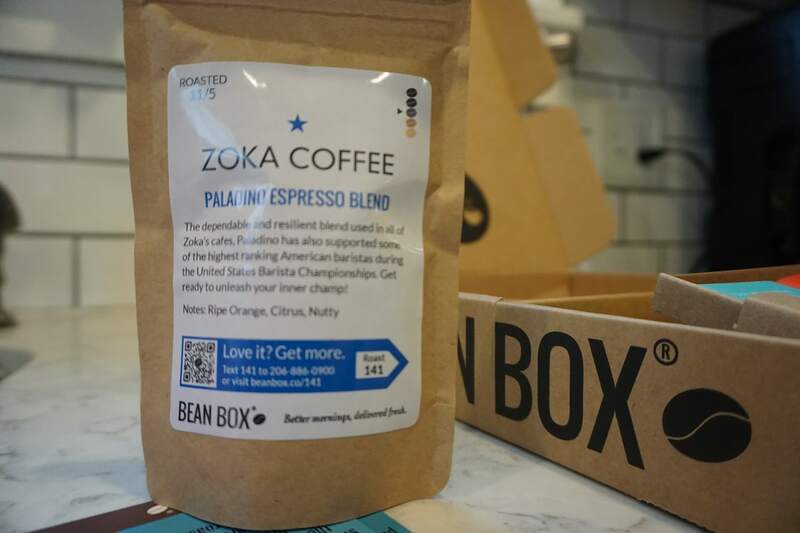 Whether you’re new to the coffee scene and are just trying to find what you like, or you’re a long-time coffee fanatic looking for something new, Bean Box has got you covered. Plus, it makes an excellent gift if you’re shopping for a tough to please coffee-lover.